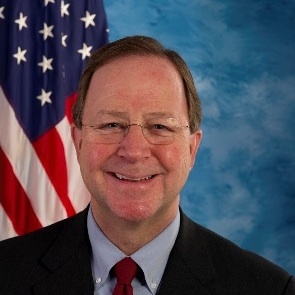 Who is Congressmen Bill Flores and what does he have against the ocean? Last week, the Republican lawmaker from Bryan, Texas led yet another effort in Congress to undermine the National Ocean Policy (NOP). By a mostly party line vote, the U.S. House passed his amendment to an appropriations bill (HR 4660) to defund the National Ocean Policy. The measure will next be considered by the Senate. Incredibly, this is Rep. Flores sixth attempt in the past two years to obstruct implementation of the National Ocean Policy through a legislative amendment. This raises an important question: why is a lawmaker from a land-locked district taking such a keen interest in ocean policy? The answer, not surprisingly, is politics. When the National Ocean Policy was established by President Obama in 2010 it signaled a serious attempt to address the many shortcomings of our nation’s piecemeal approach to ocean management. Taking its cue from the recommendations of the U.S. Commission on Ocean Policy - a bipartisan body established by President George W. Bush - the policy emphasizes improved collaboration across all levels of government to address priorities such as water quality, marine debris, and renewable energy A cornerstone of the policy is the establishment of regional ocean parterships (ROPs) that empower states to work with federal agencies, stakeholders, tribes, and the public to plan for the future of the ocean. In just three years, important progress has been made, despite a glaring lack of support from Congress. An Implementation Plan has been released with hundreds of actions that federal agencies are taking to protect marine ecosystems and coastal economies. Collaborative projects are moving forward to restore habitats, advance ocean science, and engage stakeholders. And finally, the Northeast, Mid-Atlantic, and West Coast regions have begun ocean planning to enusure that future development will mimize impacts to the environment and existing users. Of course, such success stories do not resonate well in Washington D.C., where controversy rules the day and political parties instinctively oppose each other’s proposals. As an initiative of the Obama Presidency, the policy has suffered from partisan attacks, despite the collaborative framework it is based upon. Yet, such political gamesmanship by our federal leaders is obscuring an important truth - the principles of the National Ocean Policy are taking hold in states and regions across the country, even without the meaningful support of Congress. That is why Congress needs to hear from people who care about (and depend upon) the ocean. Our ocean ecoystems are too important to the nation's well-being to be subject to the usual politics. It's time for Congress to provide a level of support and funding that's commensurate with efforts being made on the ground. Let's elevate support for our National Ocean Policy across the political spectrum!